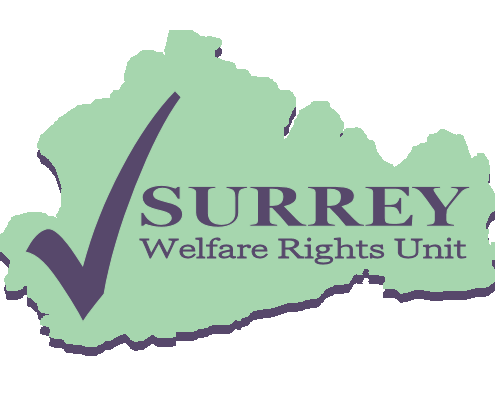 Surrey Welfare Rights Unit was set up in 1990 to provide a welfare rights advice service within the county of Surrey. The Unit provides an independent, impartial and confidential service. Our independent status allows membership of Citizens Advice and the Unit abides by the aims and principles of the CAB service. Surrey Welfare Rights Unit is a small specialist charity providing expert legal advice on benefits and community care. The Unit has been set up as a support organisation which means that we provide services to organisations rather than direct to the public who can initially access one of the many local organisations we provide services to. We ask the organisations we support to subscribe to our services. This will enable us to continue to deliver services in times of decreasing grant funding. If you would like to help us with our fundraising efforts please contact the Unit directly on 01483 776713.